Roast the pecans in the oven at 350° F, 5-7 minutes or until toasted. Whisk the egg, milk, buttermilk and vanilla together in a large bowl. Stir the egg mixture, melted butter and vegetable oil into the Grain Berry Pancake & Waffle Mix until just combined. (Batter may be lumpy). Preheat a waffle iron and brush with melted butter. 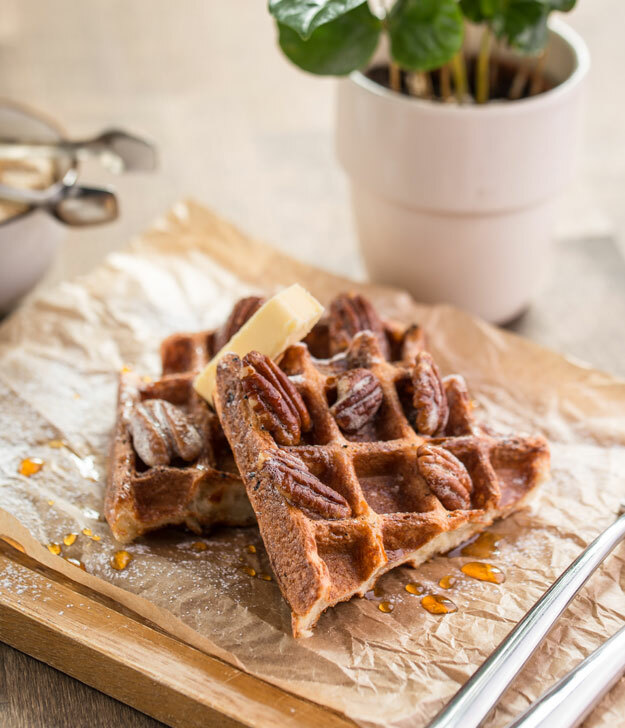 Ladle about ½ cup of batter (varies by size of waffle iron) into the iron and sprinkle in 2 tablespoons of toasted pecans. Cook until golden brown. Top with butter or margarine and syrup, and enjoy!